Christian Maier is a proud father of two children and devoted husband, brother and son. A carpenter by trade, he now works as a construction manager for a municipality. 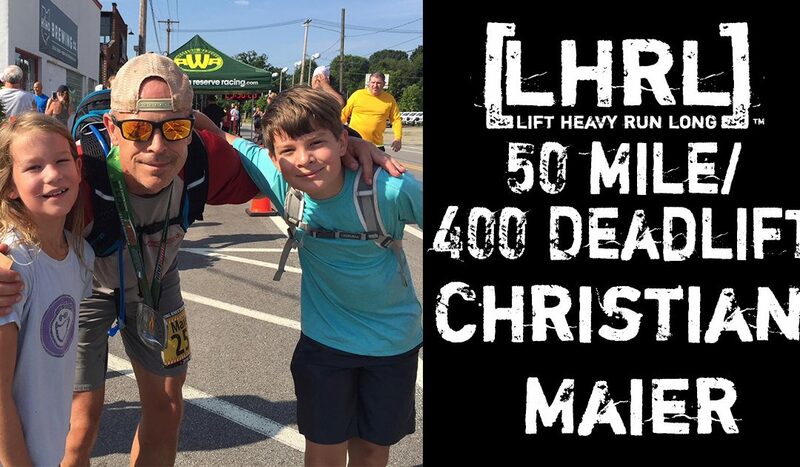 Curious to see what his physical limits were, Christian began entering ultra-races. It is during these types of events that Christian finds moments of clarity and a feeling of deep satisfaction. Knowing he’s not the fastest or the strongest, what is important to Christian is striving to be a better person everyday by challenging himself with adventures he is not sure he’ll be able to complete. Hoping to be an inspiration to his family and friends, Christian deadlifted 502 pounds at the Annual Battle of the Great Lakes Powerlifting competition on April 14, 2018. On July 28, 2018, Christian completed his first 100 miler. Outside of ultra-running and powerlifting, Christian is a general outdoor enthusiast and enjoys rock climbing, fly fishing and canoeing. Upcoming events will probably include running longer and / or faster as well as becoming a better powerlifter.